The key to making test taking as painless as possible is proper preparation. Since most of the people reading this blog have taken the Google Analytics Individual Qualification Exam (GA IQ), I’m just going to highlight the main differences between the GA IQ and the Optimizely Platform Certification. Specifically, I focused on the structure of the exam and its contents. I found that the difficulty of questions, access to information during the exam, and time restrictions were all things that caused me to pause, and sometimes panic, while taking the Optimizely exam. Hopefully this will help you make taking the Optimizely exam as painless as possible. Cost and timing are the best reasons to make sure you’ve spent adequate time preparing before you take the Optimizely Platform Certification Exam. Unlike the GA exam, which is free, the Optimizely Platform Certification will set you back $100 the first time you take it, and $65 if you fail and have to retake it. You’ll need to get an 80% on the exam in order to pass (same as the GA IQ). But that 80% is more difficult because you have 30 minutes less to take the Optimizely exam. It feels like rapid fire when you’re taking it. 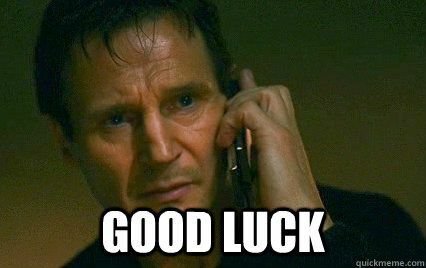 There were few softball questions on the Optimizely exam which makes the 60 questions in 60 minutes more daunting. In the past you were able to pause the GA exam and come back to it. Both test now require that you finish the exam in one shot. Even if you had access to the interface and online resources, you wouldn’t have much time to use them. Optimizely allows you to mark questions you would like to review later, Google does not. But be warned, it takes time to scroll back through the breadcrumbs of questions in order to find the ones you’ve marked. Optimizely does color code the questions you’ve marked, so you won’t need to keep track of them yourself. But I found myself caught off guard by how difficult it was to find the questions I had marked. I suggest only marking a question for review if you read the question several times and still do not fully understand how to answer it. If you do mark a question for review, mark your best guess answer before moving on. I got to the end of the exam with about 3 minutes left to revisit the questions I had marked for review. If you end up short on time it’s better to have a shot at the right answer than have questions left blank. Practice makes perfect. This is doubly true when taking the Optimizely exam. 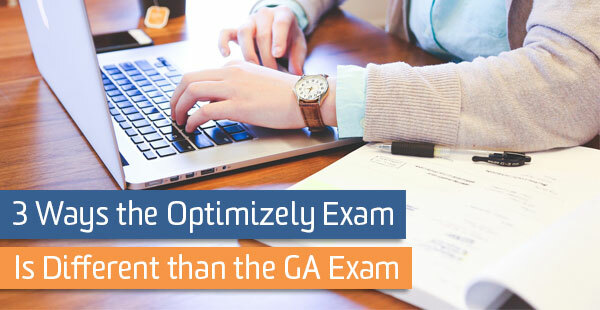 Unlike the GA IQ, the Optimizely exam does not allow you to access the interface or reference material while taking the test. To pass the Optimizely exam you’ll need to know what settings are available in the account, options for setting up tests, and the location of these settings. The only way to prepare for this is practice. With my clients, I’ve helped to optimize landing pages, calls to action, and more, so I had experience setting up and running tests before taking the Optimizely exam. But I had less experience working with each and every one of the targeting options available. As a result the questions that caused me to pause were the ones that asked nuanced questions about creating audiences, targeting, and the questions related to where setting options were located. The best way to prepare for these questions is to create a test account and practice setting up tests with a variety of different targeting options. Browser / Version: Adds visitors to your experiment based on a visitors browser/version. You can choose to include or exclude visitors who are using specific browsers or versions of a browsers. New/Returning Session: Adds visitors to your experiment based on whether this is the first session in which they have been exposed to your Optimizely snippet. Visitors who return in a different session later will become “returning” visitors. Language: Adds visitors to your experiment based on the preferred language choice (ex. en-us) that they set in their browser. This essentially allows you to target by country. Query Parameters: Adds visitors to your experiment based on whether they come to your page using a URL that contains a certain query parameter. Commonly used to target audiences based on SEM campaigns or other information passed through query parameters. Device: Adds visitors to your experiment based on a visitor’s device type. Choose between iPhones, other mobile phones, iPads, other tablets, or desktop/tablets. Platform / OS: Adds visitors to your experiment based on the platform or operating system they are using. Choose between mobile and desktop platforms or specific opterating systems like Windows or OSX. If you’re brand new to A/B testing and Optimizely then you should start with the Foundation of Web A/B Testing course in Optimizely Academy. It will walk you through the basics of what A/B testing is, how to decide what to test, launching test, and interpreting results. The Platform Certification course that goes through all of the topics covered in the Optimizely Platform certification exam. This step-by-step guide will help you build a solid understanding of the key concepts related to Optimizely Testing. Slightly different from the Optimizely Academy course, this PDF includes bulleted lists that summarize each topic covered in the exam and includes plenty of links to in depth articles about each topic. The Optmizely exam is inherently more difficult than the GA IQ, but knowing what to look out for will go a long way when preparing. Take the time to go through the three resources above and internalize their information. Then practice setting up a variety of tests and you’ll be golden.